Last month, Joseph and I committed to the No Eating Out challenge, and totally schooled our restaurant budget. Now, it's time to reign in that grocery portion. Ever since we made the out-of-state move, I just haven't been able to find my groove again. I've stepped up my game a little bit with coupons, even though I still don't go crazy over them, and have worked on making more of my food from scratch, rather than buying convenience products. Meal planning has helped, but this week, I'm trying to avoid huge grocery store purchases. That means, instead of choosing which meals I want to eat, and buying the ingredients, I'm letting the pantry, fridge, and freezer do the talking! 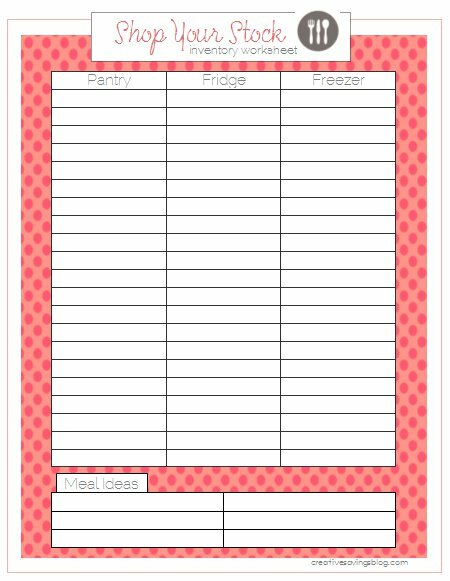 If you search for printables online, you will find worksheets that help you meal plan, and worksheets that are exclusively used for a pantry/freezer inventory list. Neither did exactly what I wanted them to do. Listing each and every item seems like a lot of work, and it can be, especially if you have a large stockpile. I don't think you have to do that to get the benefits from this worksheet. I only listed key ingredients from my pantry, and placed multiple items together. Ex. pasta, breakfast items, and baking supplies. You can also type out your food inventory list, and print multiple copies for future reference. You'll have a quick list that's ready to go, and you can cross off ingredients you don't currently have, and replace them with ones you do. It will save you a bunch of time. While I was taking note of my inventory, I realized I was running low on certain items. Having my grocery list right next to me while I was using the Worksheet, made it really easy to jot down those ingredients for my next trip to the store. Although this isn't a deep cleaning session, you are going to find a few (or a lot!) of things that are expired and need to be thrown out. I know I did! With some ingredient pairings, you are going to know right away whether or not you can make a meal out of it. As I was rummaging through the freezer, I found a frozen Lasagna that I had made a month ago. Instant meal! 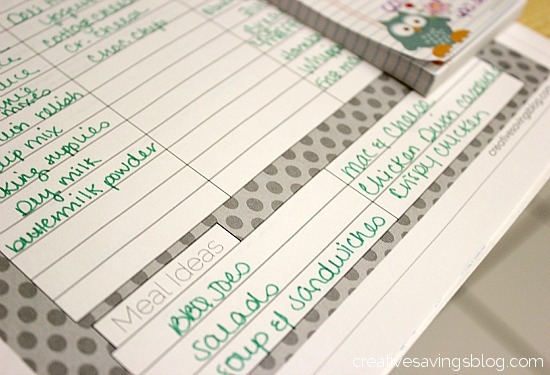 Even if you only come up with two or three meal ideas during your inventory check, grab your favorite recipe book, and start brainstorming some more. Having that ingredient list makes this super easy! I thought I would need to reference a few recipes, but I actually didn't. By looking at my pantry, fridge, and freezer list, I knew exactly what I could make. With only 20-30 minutes worth of work, I now have a week or more of meals (including leftovers), and I don't have to go to the grocery story for any of them! Any time I'm feeling the tight squeeze of the grocery budget, or need an extra way to save, I'm definitely implementing this Shop Your Stock method again. I would encourage you to try it too. 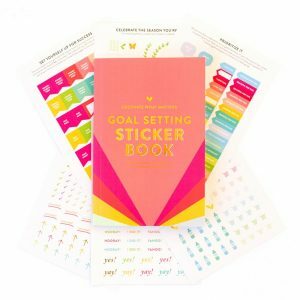 You could integrate this into your regular meal planning sessions, or do it once every couple months to give your grocery budget a boost. 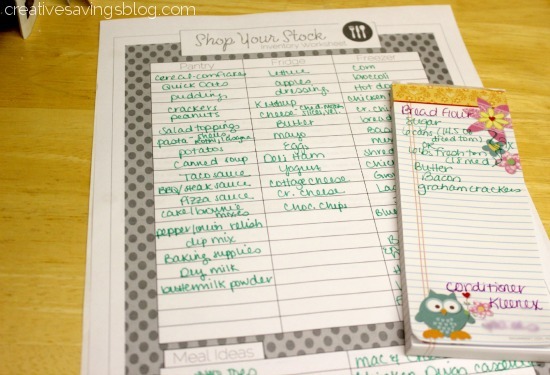 Meal planning from the pantry will really give you a much needed break from a huge cart full of groceries, and a large bill! Do you have a favorite pantry inspired meal? I used to coupon a lot more than I do know. I will still look for a coupon if I am buying something like cereal…but for the most part I save more by cooking from scratch (plus it is usually healthier). We are feeling the pinch this week, and I basically did the same thing…looked around and said..huh, I have most of the ingredients for 5 meals, but I am missing this, this and this. Another bonus? Less of your stockpile to have to throw out when it is outdated. That’s true – rotating through your stockpile means your always thinking about uses for each item. 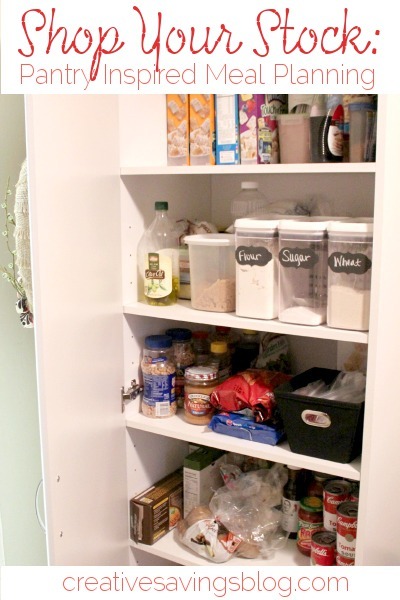 This list of what’s in the fridge, pantry, freezer would help you not to overbuy when shopping. You’ll have the list of what is in each area, saving money. I saved it/printed it out and hopefully try it sometime. I like to go shopping alone but most time it is with DH and he’s in a motorized shopping cart and he cost me more money because he’ll go along and see items he knows we need and ask me if we need this or that. Drives me crazy. Of course, he’s like a child, sneaking in at least 3 items of sweets that he shouldn’t have because of his diabetes. If I refuse to buy it or tell him to put it back, he pitches a fit. I can think better when I don’t have to watch him. Sometimes I haven’t thought that we were out of a specific item and he remembers. Sometimes he’s right. I think he has a fear of going hungry. Same way about getting lost. That’s another story! Soup made w navy or any white bean (canned), chicken broth, leftover spinach from salads (when it gets to the bottom and is kind of wilted) and throw in bacon or ham or sausage (whatever you have). I’ve also used leftover kale, mustard greens, Swiss chard etc. mushrooms too, if you have them. Throw it together, simmer and serve w bread or crackers. Even my picky eater likes this soup. You’re a genius! 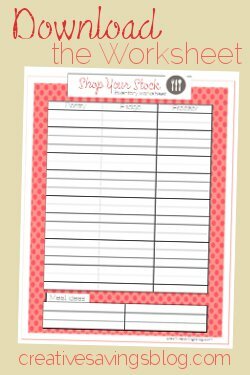 I printed out one of the shop your stock worksheets and as I was doing it I came up with more than a few meal ideas! I’m so excited to explore this site further! Very true! Good sales are not that good if you end up wasting the food, yet they are so hard to pass by! This has been great! This printable in combination with the spice inventory has made it so much easier to know what I have on hand! Just the other week I bought A SECOND sesame oil bottle because we didn’t know we already had one. Nobody uses that much sesame oil.